In the category of Better Late than Never : Happy New Year. Our company profile page at Outskirts Press gets updated the first month of every year to update our total title counts and summarize how the previous calendar year’s accomplishments fit into the overall picture of our company, and the industry of self publishing in general. I’ve posted the 2013 updated profile below. 2013 was a banner year for us and our authors. We published more titles by more writers than ever before, launched our mobile site for cell phones, mailed exciting royalty checks to our authors, and welcomed our first-ever Executive Vice President (Kelly Schuknecht, who was promoted in January). Here’s the updated profile below; and you can see the entire thing, in all its glory, on our website by clicking here. The years between 2004 and 2006 marked a growth rate in excess of 1,500%, an accomplishment that was recognized in July 2007 by The Denver Business Journal when Outskirts Press was honored to be the 3rd fastest-growing privately held company (in any industry) in Colorado. By the end of 2006, Outskirts Press had nearly 1,000 books in print, all of them available worldwide through Ingram, Baker & Taylor, Amazon, and Barnes & Noble online, among others. And by the end of 2007, Outskirts Press more than doubled its title totals again to more than 2,000 total titles published. In 2010, 2011, and 2012, Outskirts Press repeated its appearance on the Inc. 5000 list three more times, and became the only self-publishing company to appear on the list of top 5,000 fastest growing private businesses in America for four straight years. 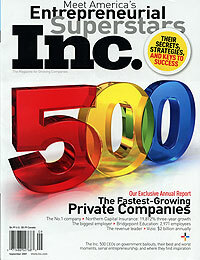 2012 also marked the 10-year anniversary of the company’s founding and the publication of its 10,000 title. 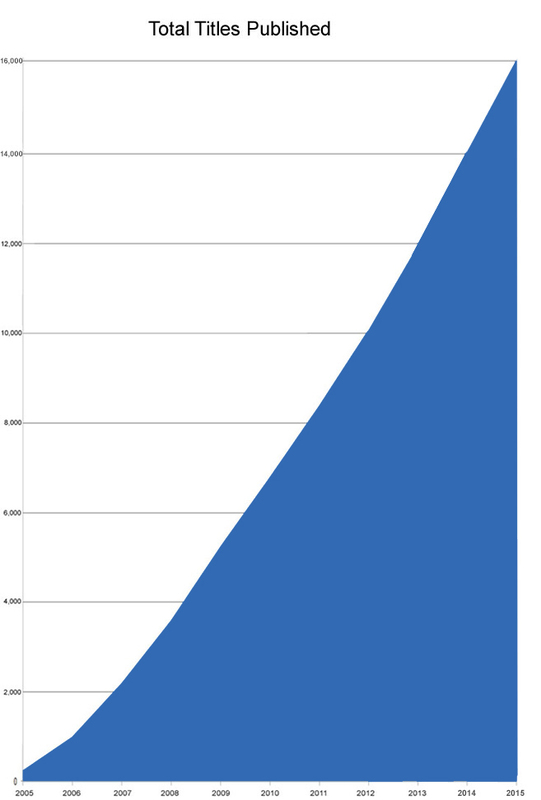 What took seven years to accomplish (publishing 5,000 different titles) was repeated in less than three. Ten short years after its incorporation in 2003, 2013 was a celebratory and banner year for Outskirts Press, and heralded the maturation of an industry success story. Outskirts Press published more books in 2013 than in its first five years combined, and, in fact, more books in a single year than ever before, continuing to exceed industry averages with double-digit percentage growth of new titles and authors. Now, more than ever, self-publishing writers are recognizing the value of high quality production, superior customer service, and the continued necessity of hard copy books to differentiate their contributions to the literary world from the masses of unfiltered, unprofessional electronic-only books. Our author community on Facebook is the most popular and most active among all full-service self-publishing firms. Our author channel on YouTube features the most book videos among all full-service, high-quality firms. 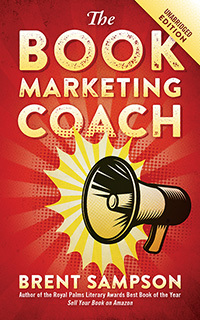 Our company blog keeps our authors informed on industry news, exciting promotions, and marketing tactics. Our Twitter account keeps our authors up-to-date, sometimes up-to-the-minute. Our Pinterest boards keep authors and readers apprised of Top 10 monthly bestsellers, our most prolific and successful writers, and genre collections/themes to celebrate holidays and special events. 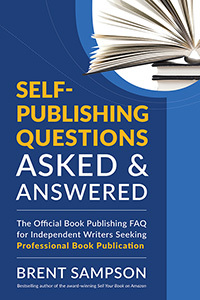 By publishing our own series of books, we help authors navigate the sometimes tricky waters of book publishing. And by offering free publication in various anthologies through the year, we demonstrate how easy, fast, and fun it can be to publish with Outskirts Press. Through it all, Outskirts Press authors have remained our main focal point. With over 10,000 published titles, Outskirts Press continues to pour development dollars and resources into further improvements to the Outskirts Press website and its growing list of writing, publishing, and marketing services/products to further support our authors’ goals and dreams. Are you ready to get published? Click here to visit Outskirts Press Self Publishing now. 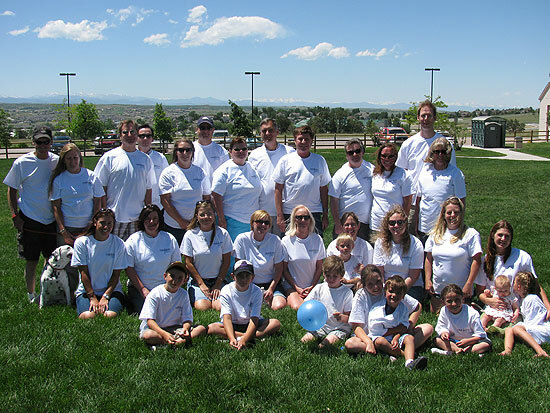 The years between 2004 and 2006 marked a growth rate in excess of 1,500%, an accomplishment that was recognized in July 2007 by The Denver Business Journal when Outskirts Press was honored to be the 3rd fastest-growing privately held company (in any industry) in Colorado. By the end of 2006, Outskirts Press already had nearly 1,000 books in print, all of them available worldwide through Ingram, Baker & Taylor, Amazon, and Barnes & Noble online, among others. And by the end of 2007, Outskirts Press more than doubled its title totals again. In 2010, 2011, and 2012, Outskirts Press repeated its appearance on the Inc. 5000 list three more times, and became the only self-publishing company to appear on the list of top 5,000 fastest growing businesses in America for four straight years. 2012 also marked the 10-year anniversary of the company’s founding and the year it passed the milestone of 10,000 published books. 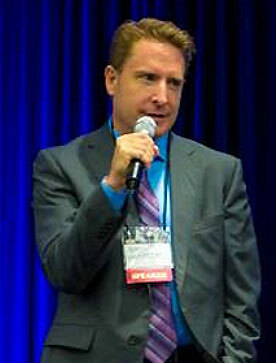 So how does Outskirts Press remain the fastest-growing full-service self publishing provider? Our company blog keeps our authors informed. Our Twitter account keeps our authors up-to-date. Before I get back to our Guy Kawasaki series about the 10 steps of enchantment, I will continue this small break to mention the Thanksgiving Video contest we recently held at Outskirts Press. We invited all our published authors to record a video that thanked whomever they wanted to thank for being published — their spouse, teacher, colleague, etc. Among all the videos we received, we selected three finalists based largely upon the number of “likes” each video received on our Facebook Page. Those three finalists took part in a public poll on the Self Publishing News blog where anyone could vote on their favorite. The winner would receive a free iPad Mini. You can view all three finalists on this blog posting here. Thank you to Bob, and to all our Outskirts Press authors. I have a theory that I’m testing with this post. A recent post was titled, “Self-Publishing Verdict: UNBELIEVABLE” and it was among the highest clicked/read postings on my blog in quite a while. So that means this posting should be just as popular, right? Probably not, and here’s my hypothesis: The word “terrific” is rarely associated with anything but positive, good news. “Unbelievable” on the other hand, is just as often uttered during moments of disbelief or anger as it is during moments of exhalation (as was the case with the author in my previous posting). So, my theory is that the posting with “Unbelievable” in the subject will remain more popular than this one because we, as human beings, seem wired to be more curious about BAD news than GOOD news. And that’s kind of … sad. So, I’m sorry to disappoint those of us who fall into that category, but the following self-publishing verdict from David Brookover is primarily good news. I say primarily because he does have a little bump that needs smoothing — and that should make the cynics happy. So we’re ALL getting what we want with this posting, and that, if nothing else, IS terrific. 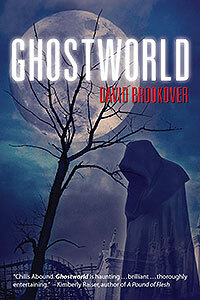 I received my author’s copies of Ghostworld today, and the books look terrific! It’s wonderful to see all those months of hard labor packaged so attractively by your team at Outskirts Press. That’s main reason that I keep coming back to you, book after book! I also wanted to tell you how professional and personable Bridget and Terri were throughout each phase of this publishing project. They were a pleasure to work with, and I’d certainly want them on my side again for the publishing of my next book! And Dana was just as thorough and pleasant, too, although she was involved for only a short while getting my private label ISBN number for Ghostworld. Now I’m going to have to work with marketing to iron out a couple of problems, one being that B&N has the book’s publisher listed as Outskirts Press instead of Curlew Press. The other is that Amazon doesn’t show “Search Inside the Book” for Ghostworld yet. I’m sure they’ll be as proficient and personable as the trio I mentioned above, and we’ll get those issues resolved quickly. Brent, you must be doing something right, because you continually attract the cream-of-the-crop to Outskirts Press. Best of luck to you and Outskirts, and I look forward to working with you and your wonderful staff again soon! Both “bumps in the road” he brings up should be resolved soon. Last week I shared an email I received from one of our authors in relation to the custom covers we designed for her. I’d like to share another email I received, this more a more general reaction to the entire self publishing experience as a whole. All of us at Outskirts Press work hard to make sure all our authors have wonderful experiences (and we get it right 99% of the time), so it’s always gratifying to receive emails like this from one of our recently-published authors (I recevied this roughly around Easter). All the best, and whatever holiday you are celebrating at this time of year, may it be with much Joy!! !